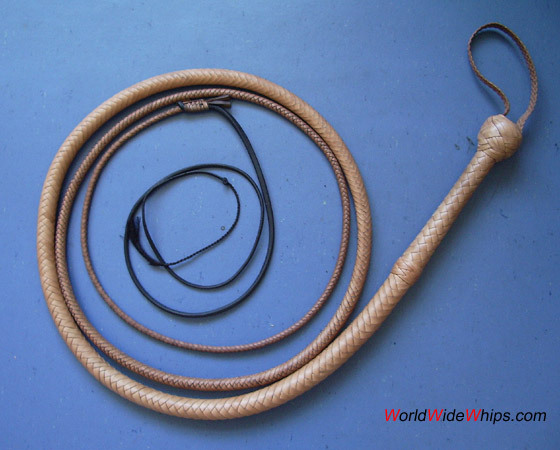 This wonderful Indiana Jones style bullwhip has been made by Paul Nolan / USA. It is 10 ft. long, 12plt downto 6plt at the point (which is the right count for Indiana Jones bullwhips). Made from natural tan roohide, it is rather pale but will develop a nice rich colour through time and use. Note the "hourglass" shape of the handle. 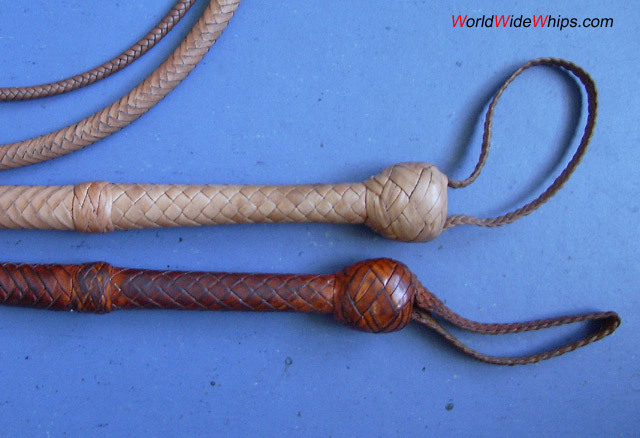 The last picture shows the whip compared to a David Morgan (see Indiana Jones style bullwhip by David Morgan (12ft)).